Promising to give visitors more than a tan, we moved on to the island of Rhodes. As the oldest inhabited island in Europe, we expected to get a better sense of Greek culture. After a ferry ride that was more like a floating four star hotel, we arrived to the port and settled in to the Old Town. 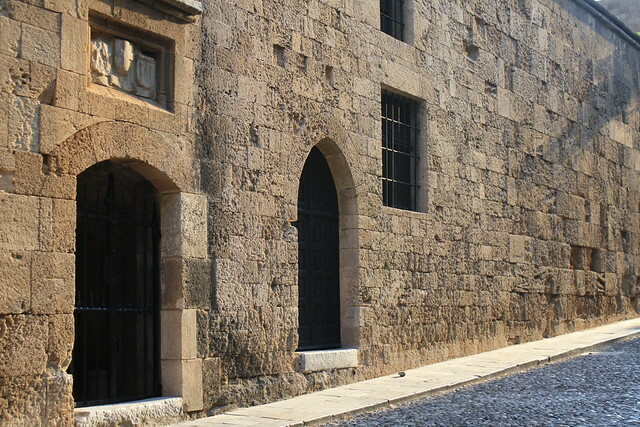 This area consists of roughly 200 streets and lanes surrounded by towering, medieval city walls. Getting lost in the alleyways is an opportunity to explore and that’s exactly what we did. With backpacks on we wound through the streets, many of which have no names, searching for our hotel hidden down a little stone passageway. Covered in beautiful pink azalea flowers and ivy, The Pink Elephant Hotel was a charming little spot to base our few days in Rhodes. 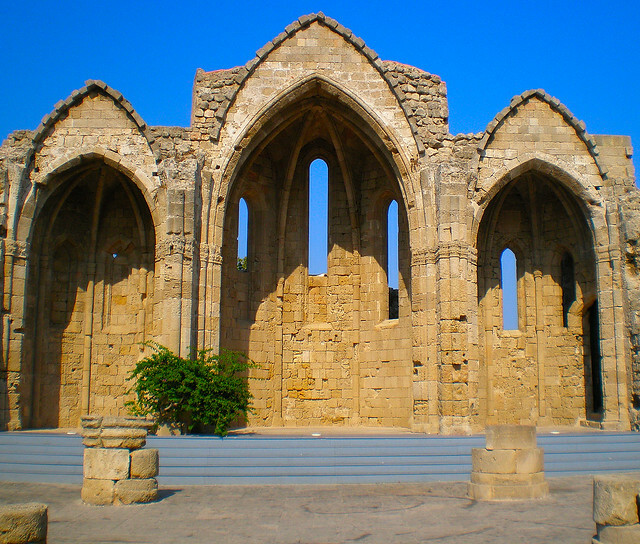 We spent our time in Rhodes just getting lost in the city and doing our best to stay off the main streets of town. Rhodes, as our guidebook promised, was absolutely crawling with tourists. We sought out moments of solitude in the quiet squares and lanes of the side streets and here we began to imagine how special this place might be in the off season. Mealtime is always our favorite time of day and in Greece, we would learn, it would be extra special. 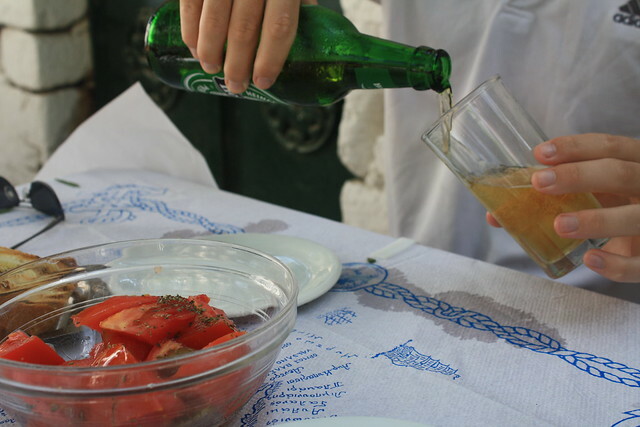 Always opting for the mom and pop-run tavernas, we ate very well and very local. Chowing on traditional dishes out of the kitchens of people’s homes was a nightly ritual. Those warm summer nights sitting out on patios topped with trellises of gnarled grape vine leaves while indulging in big, fat Greek meals, these are the memories I’ll treasure.